Posted June 14, 2008 in 2008/06, 5 Studio, Art of Romance, Artists, Belfi, John, Eadeh, Gregg, George, Meskin, Mort, Periods, Prize, Serial Posts, Stallman, Manny, Starr, Leonard, z Archive. Leonard Starr is most known for his syndication strip Mary Perkins on Stage. 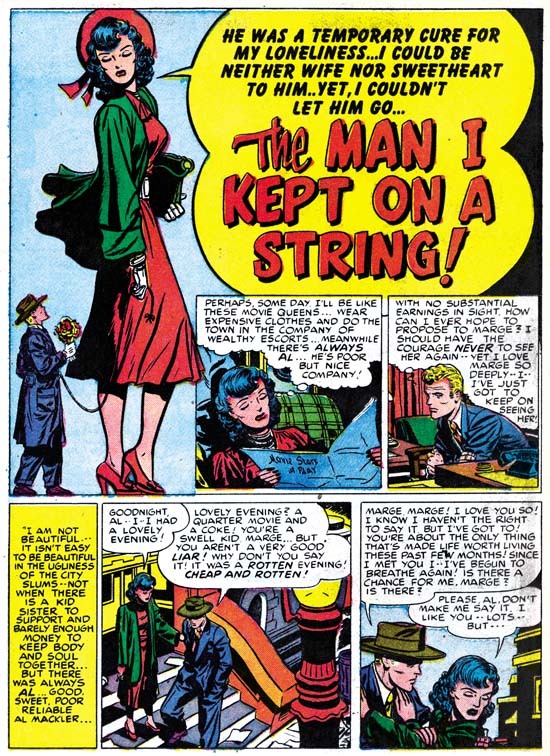 He had a long career but I suspect the work that he did in romance comics probably was more important in relationship to his success with the newspaper strip then what he did in any other genre. 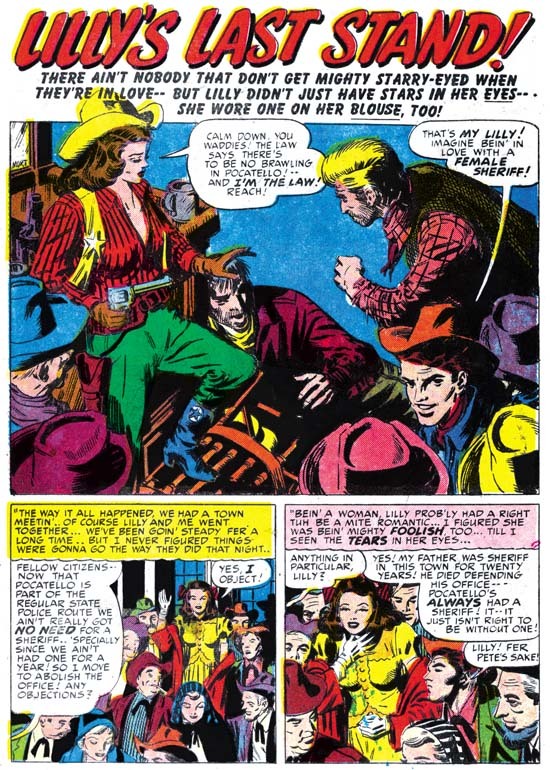 Starr was an important artist for Real West Romance and Western Love. No single artist dominated these titles but Leonard did more work then any other artist. Not all his work was signed, but I believe he provided 10 out of the 66 stories. Now in my last week’s post I mentioned that Kirby provided significant contributions to 11 stories. I hope to be able to show in my next post what Jack’s contribution was for these stories. For now let me say that most of the stories were not fully the work of Kirby and are dependant greatly on the efforts of other artists. 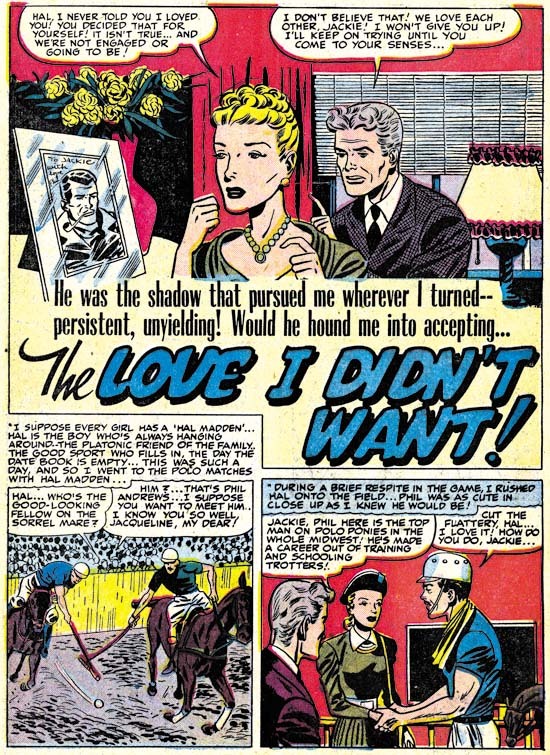 Therefore I give Starr more credit for his efforts in these western love titles then even Jack Kirby. 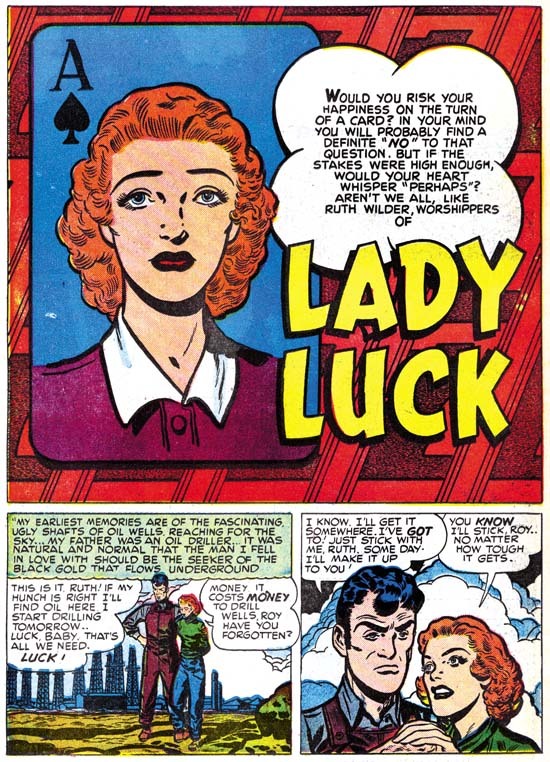 In my choice of an example of Leonard Starr’s work I decided not to use one that emphasized his talents in romance (but you can see an example of that in Chapter 5). Instead I picked one that gives a good idea of his skill at graphic story telling. In this sequence we see the progression of Marsh’s decision to defy the male members of the Bates family, his arrival ready for action, and the tense confrontation. However in the final panel the action from an unexpected quarter provides a surprise ending for the page. It really is a nice example of Starr’s own graphic story telling. I feel that this page would almost certainly have been handled differently by Jack Kirby. I am sure that Jack would have put more humor in the final sequence by revealing the brooms handler. The point is not that Jack was a better artist (he was) but that I feel that this indicates that Kirby was not involved in laying out this story. This is not a new observation on my part and I am sure that I will repeat in often in the future. 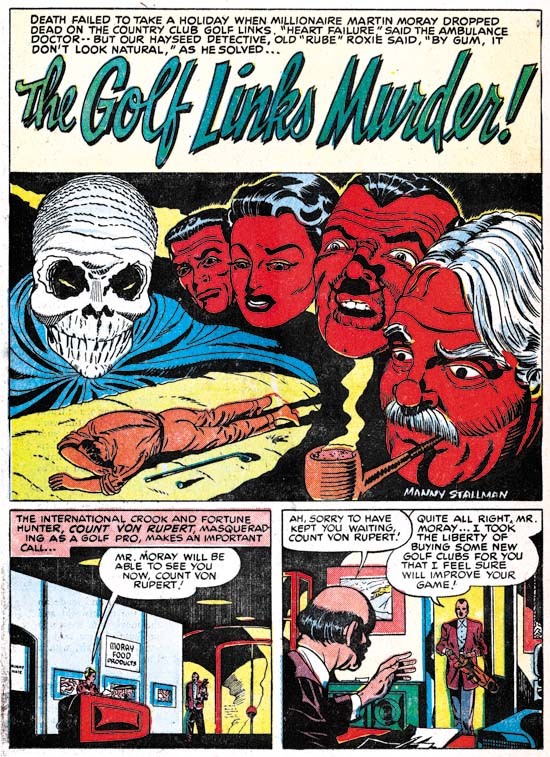 I simply have not found evidence to support the contentions of a few individuals that Jack Kirby provided layouts for many of the artists that worked for the Simon and Kirby studio. That is not to say Jack did not do layouts, but I will leave an explanation of what might seem like a contradiction for the next post. Leonard Starr can present somewhat of a challenge in recognizing his unsigned work. His drawing can vary somewhat from panel to panel. For instance generally his women have a child-like or elfin look. But then in another panel the woman’s face will have a more normal beauty. 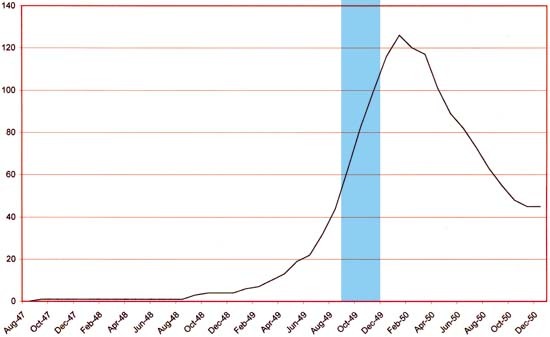 I am not sure, but I suspect this sort of variation can be explained by Starr’s occasional use of swipes. If Leonard was doing a bit of swiping at this point in his career, and I want to emphasize I do not know this for sure, it was not from Jack Kirby. 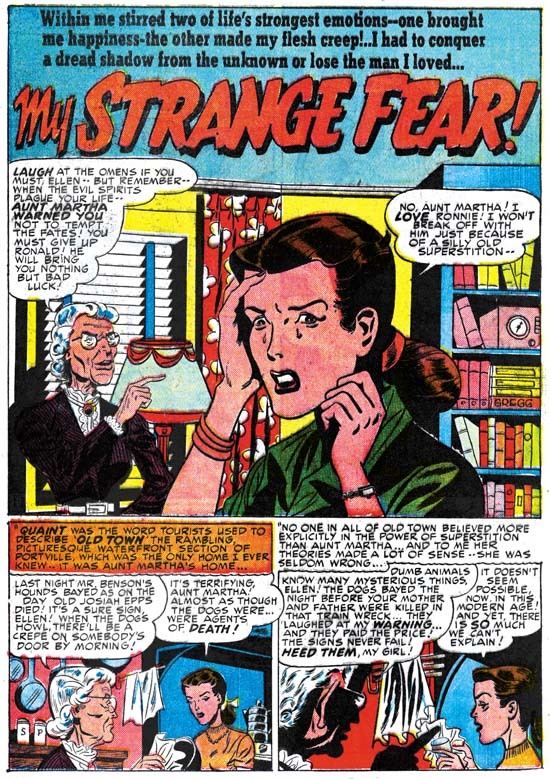 Starr already seems to have progressed to his own style of comic art and did not seem to fall under Kirby’s spell. 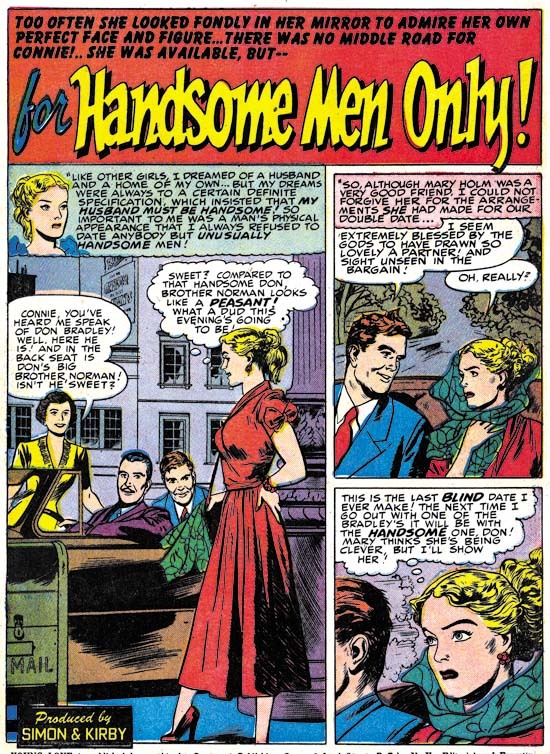 One final comment about Leonard Starr’s work in the Simon and Kirby western romances concerns his panel layouts. 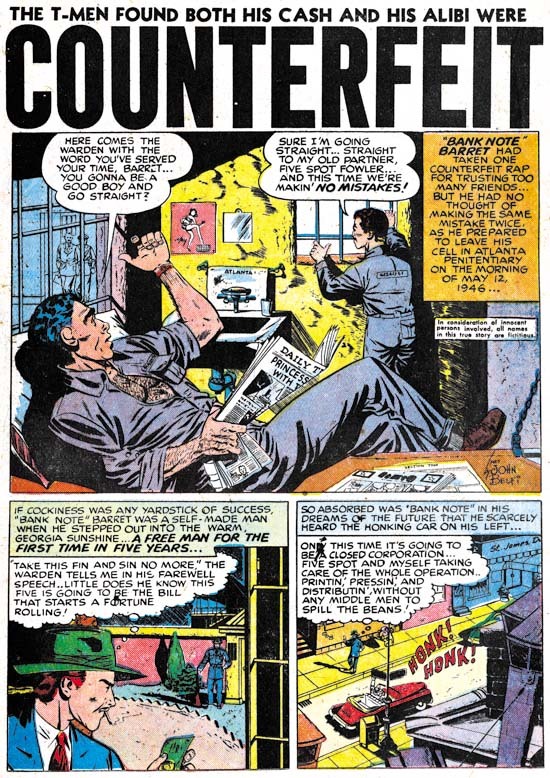 The most common page layout among the various studio artists was three rows with two panels per row. Now this was by no means invariable but it did dominate. 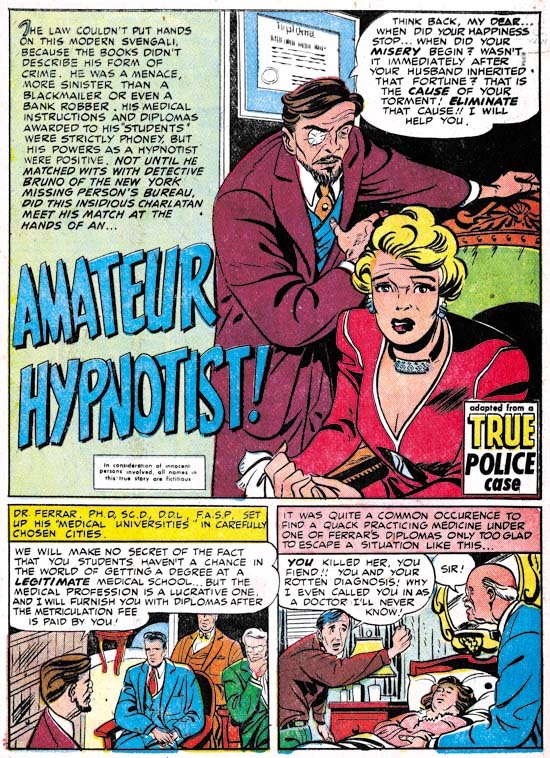 Leonard Starr would use that panel layout as well but he had a distinct tendency to break the rows into three panels per row. He would sometimes go further and vertically compress two rows so that the other row would have distinctly tall and narrow panels. 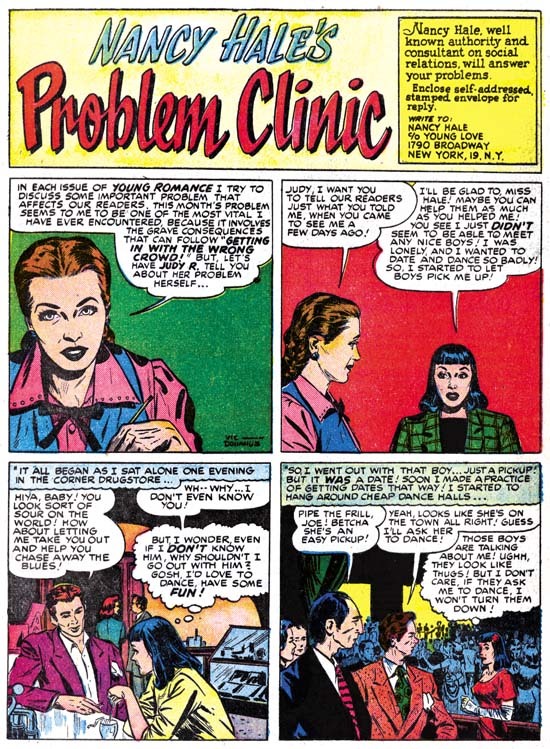 Starr would at times go even further yet and organize the page, as in the example above, into two rows of three panels per row so that all the panels would have the narrow format. 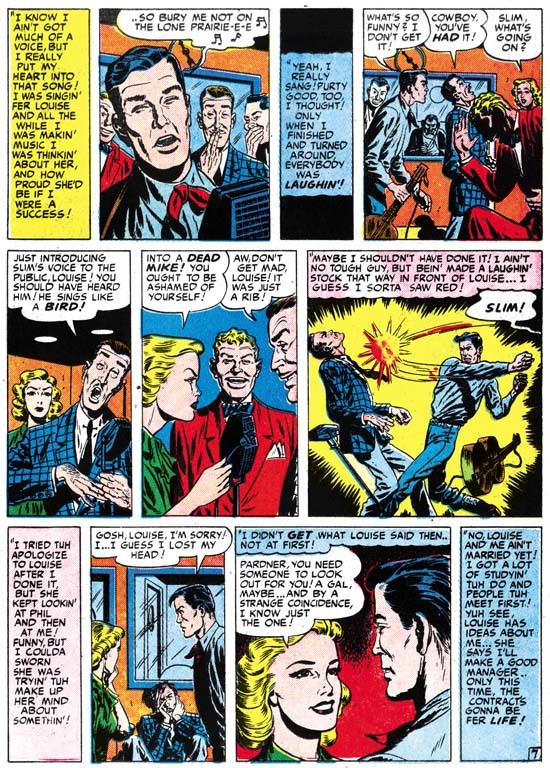 Other studio artists would occasionally use narrow panels, even Kirby, but none of them as frequently as Leonard Starr. I have previously written about the team of Al Eadeh and Jon Belfi in Chapter 5. They had a small but important presence in the early Young Romance and Young Love issues. 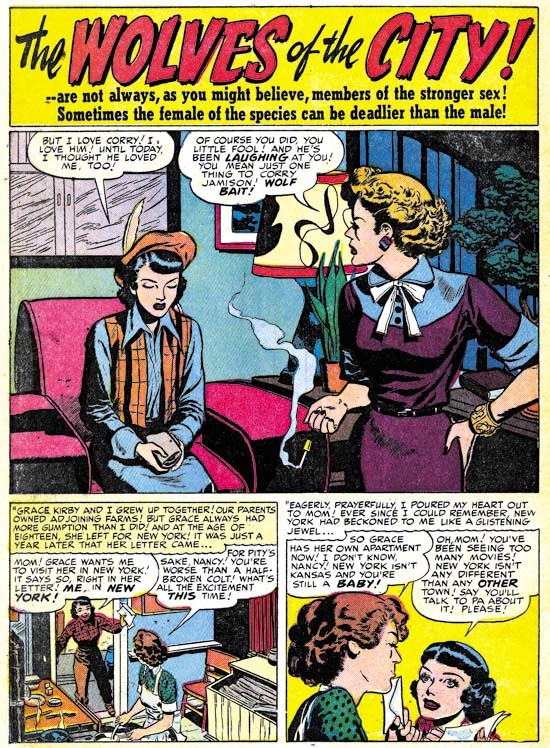 So far the above story is the only one that I can credit to Eadeh and Belfi in the western romance comics. It is a safe bet because it is signed. 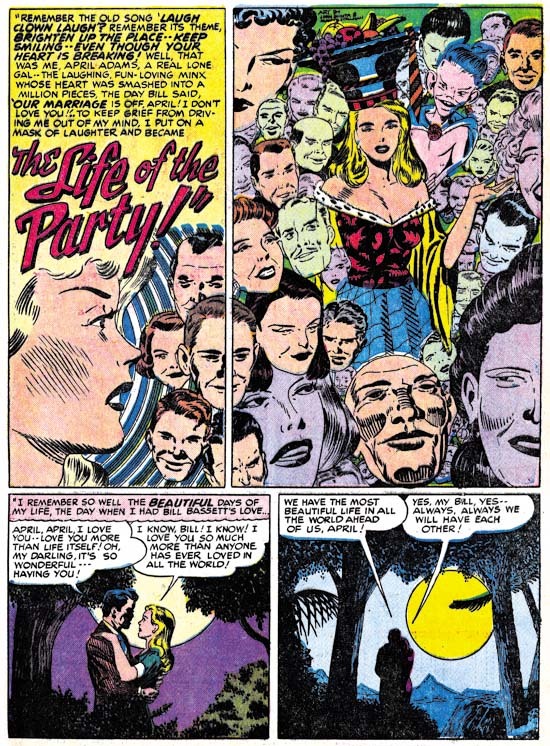 Most artists that worked for Simon and Kirby were expected to illustrate any category of story. So the fact that I have attributed 6 stories to Eadeh and Belfi from YR and YL but only one from RWR or WL is suspicious. Either they were exceptions and were predominately assigned standard romance work, or some of the work I have credited to them in YR and YL was incorrect, or there is more work to be found in RWR and WL. There are still a number of cowboy love stories that remain unaccredited but so far I do no find any of them convincing examples of Eadeh and Belfi’s work. As I wrote before, Al and John were, like most artists who worked for Simon and Kirby, talented but were not what I would call exceptional. 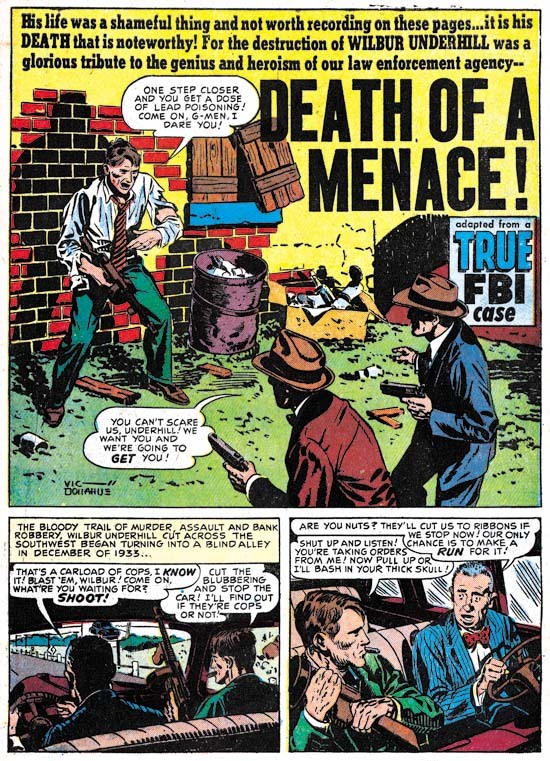 George Gregg is one of my newer additions to identified Simon and Kirby artists. In the past I have either overlooked his signature or been unable to correctly read it. 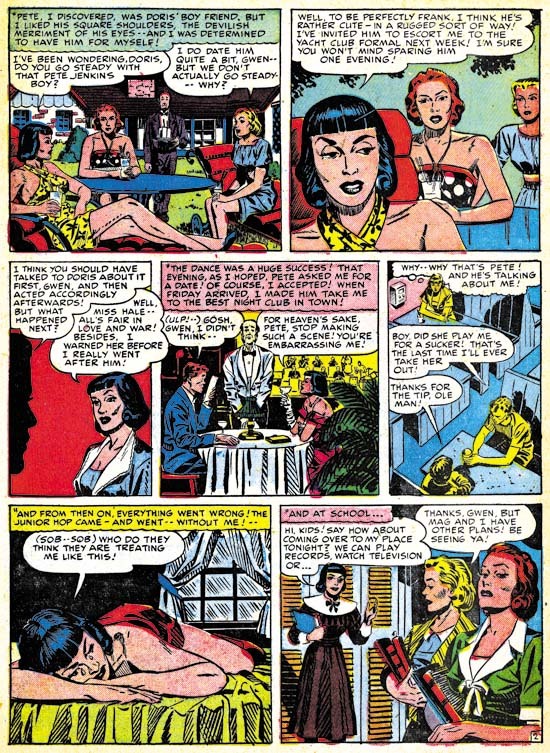 To the two works I spotted in Chapter 5 (Young Love #4 and Justice Traps the Guilty #17) I have now been able to add another “Fortune In Furs” from JTTG #19 (October 1950). The newly identified piece is another example of a signature I had previously seen but until recently was not able to correctly read. This last work is important because in it Gregg depicts some of the male characters with more complex eyebrows. Perhaps this reflects an influence from Jack Kirby who frequently provides expressive eyebrows. 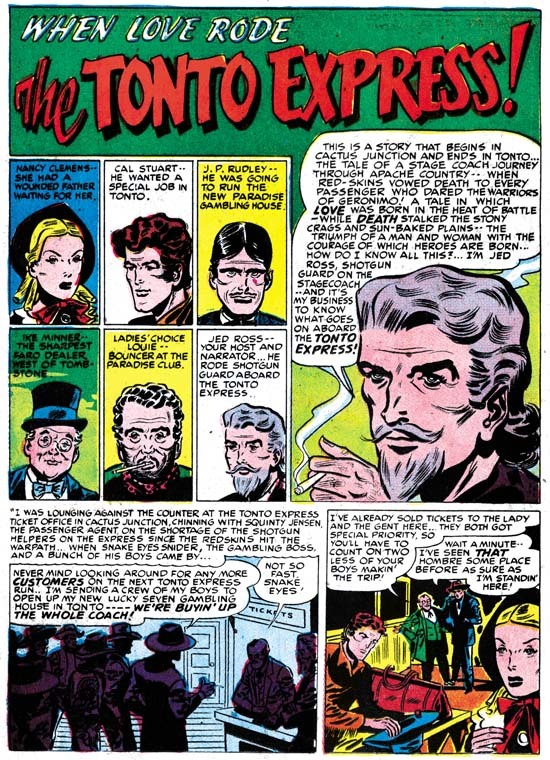 The manner the eyebrows are drawn in JTTG #19 has a pretty good match in “The Tonto Express” and that is one of the reasons I assigned that unsigned work to George. It is gratifying to be able to attribute more art to Gregg and I suspect I will find even more, but I am getting the impression that he only did a little work for Joe and Jack. 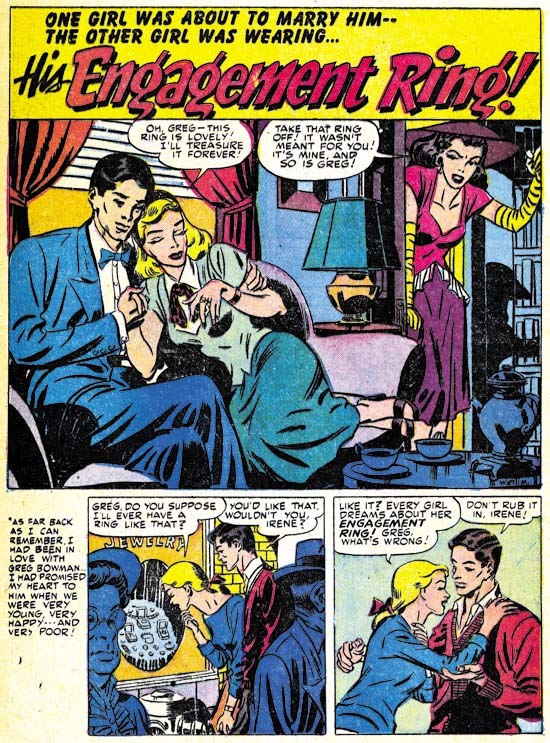 December 1949 marked the return of Mort Meskin in Young Romance #16 and Real West Romance #5. 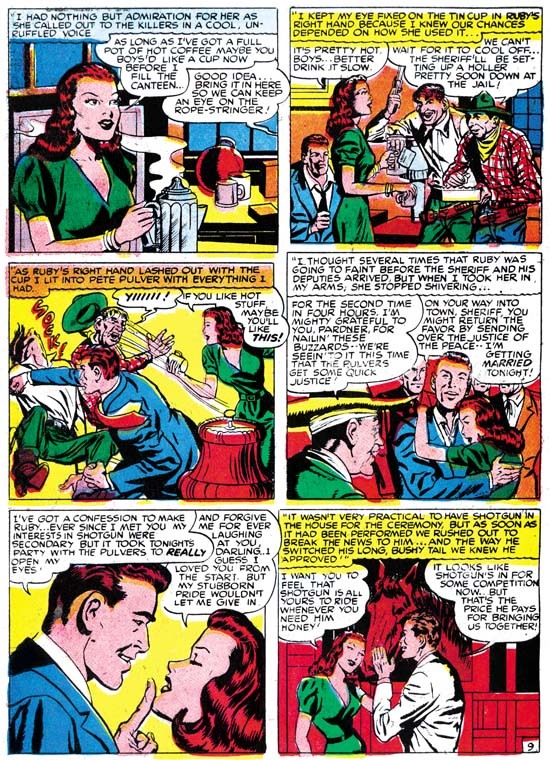 Mort had previously provided some work to Simon and Kirby but as part of a team with Jerry Robinson. 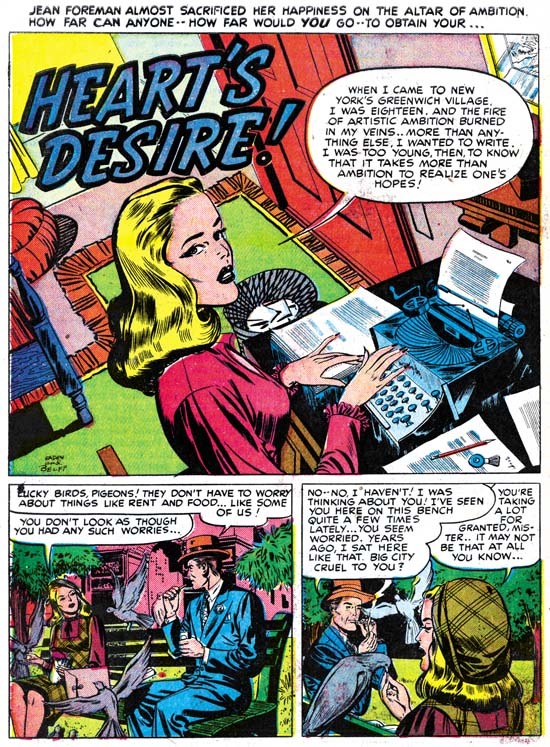 Robinson and Meskin really did not do a lot of work for S&K but what they did was at a time that when only a small group of artists were supplying art for Young Romance. 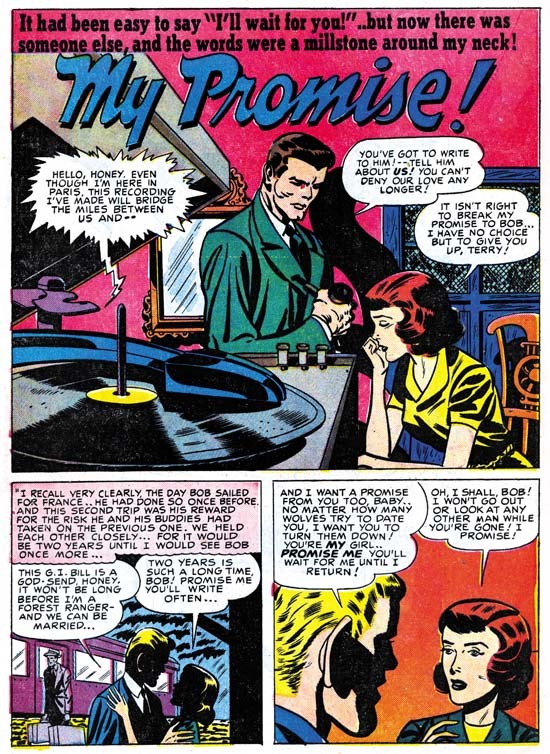 With his return as a solo artist, Mort would quickly become one of the essential members of the Simon and Kirby studio, or as I like to think of it as one of the usual suspects. 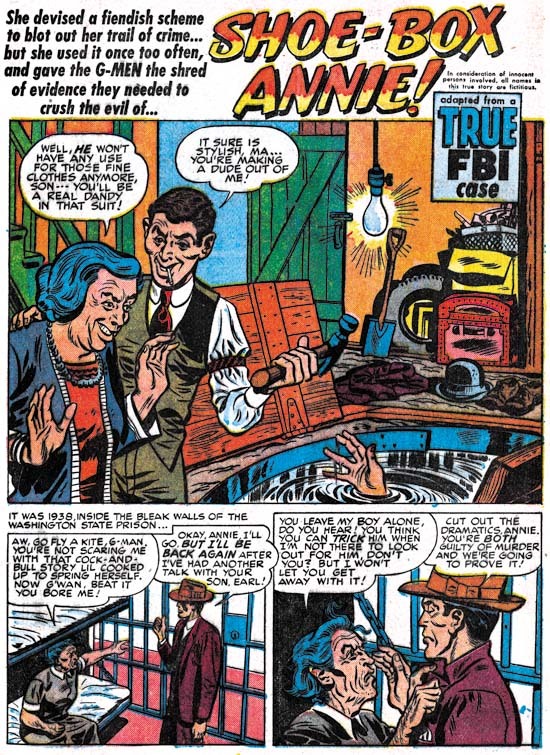 Although I use the term “studio artist” most who produced art for Simon and Kirby did not actually work in the studio. Mort was one of the exceptions. 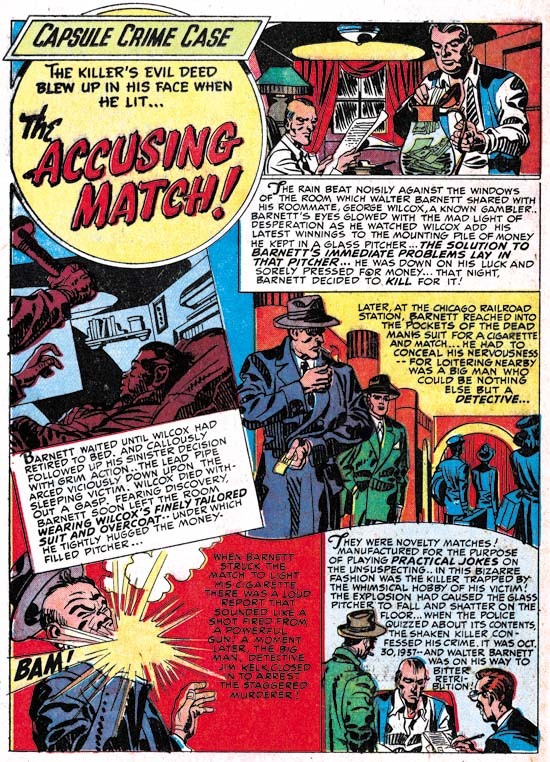 As Joe Simon describes in “The Comic Book Makers”, Meskin initially had trouble executing his assignments. Simon was well aware of how talented Mort really was, so first Joe tried patience and when that was not enough he asked Mort to work in the studio. There Joe realized that Mort had a terror of the blank page, and so Joe would have somebody just marks the pages up. 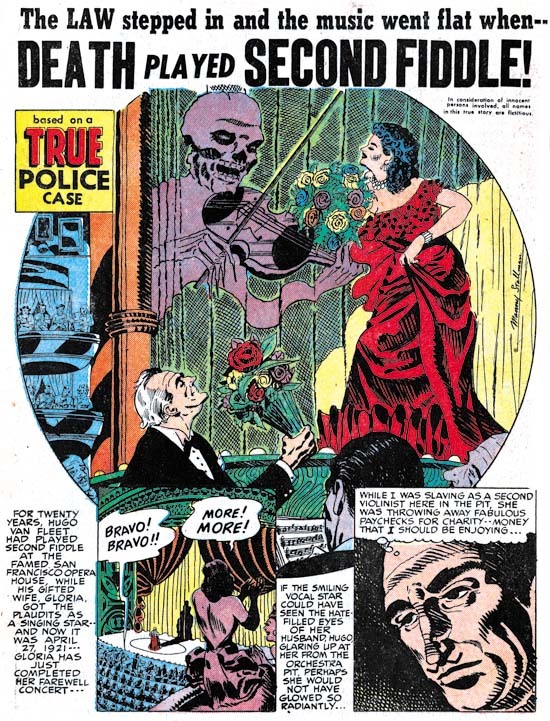 Some have claimed that this meant Jack was doing the layouts for Mort, but Joe insists that is not true; the pencils were nothing more then abstract marks. Having overcome his artist block, Mort went on to become a productive member. So productive, that his output exceeding Jack Kirby’s during some periods. I have long believed that Meskin inked his own work. During a conversation with Joe Simon I was told how inking was done in the studio using an assortment of people, “like a factory”. But then Joe paused, and added “except for Mort Meskin, he did all his own inking”. It is nice to have such confirmation. What an unusual, but effective, composition Meskin provides for the splash panel of “Lilly’s Last Stand”. It depicts Lilly, acting as the sheriff, breaking up a barroom brawl. Normally a fight would be given center stage, but here Mort has placed the fighters in the background. Well, calling it background is a little misleading as all the characters share a rather narrow depth that Meskin makes look natural by using a high viewpoint. There is no true background as nothing is shown beyond the fighters. One of the fighters has been knocked down to the ground while the other advances on him with menace. Across the empty space stands the second fighter’s true opponent, Sheriff Lilly. Lilly is so much in control of the situation that she casually rests one leg on a fallen barstool. We only see the back of the heads of the on looking crowd, except for one that turns to seemingly comment to another observer but really to the reader. By his statement he is Lilly’s boyfriend and thus Meskin has presented a roll reversal of the sexes, the theme of the story. 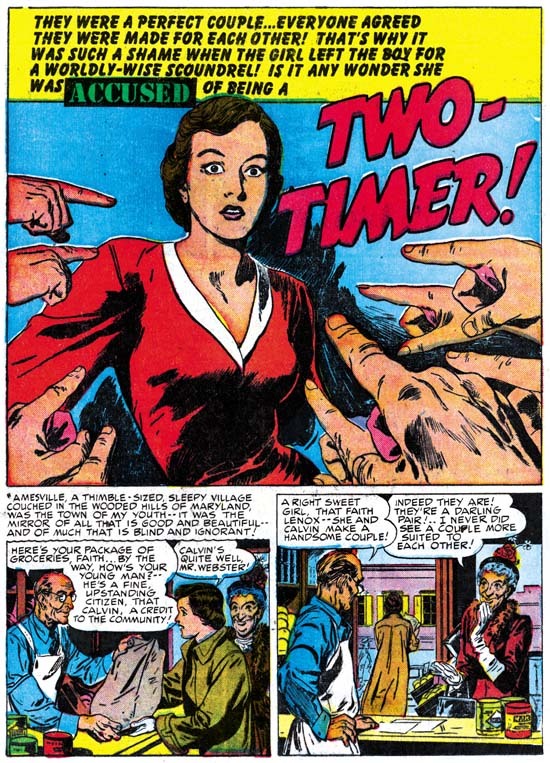 During his years with S&K Mort had a distinct preference for a two thirds of a page splashes. One reason appears to have been that it allowed him to play off the splash panel with the first couple of story panels. 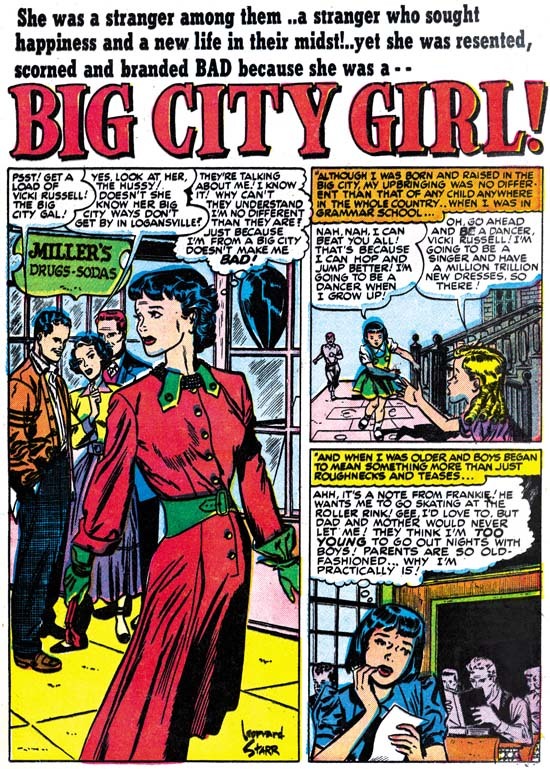 That is true here where the story panel shows Lilly in a very feminine dress in contrast to the sheriff outfit. Interestingly Mort provides another level to the contrast. I describe the dress as feminine but the high collar effectively hides her female anatomy while the plunging neckline of her sheriff outfit neckline reveals them. Was this a suggestion that the feminine roll was actually sexually repressive? Perhaps I am reading too much into it, but that is one of the greatest pleasures reading these stories some 50 plus years later. 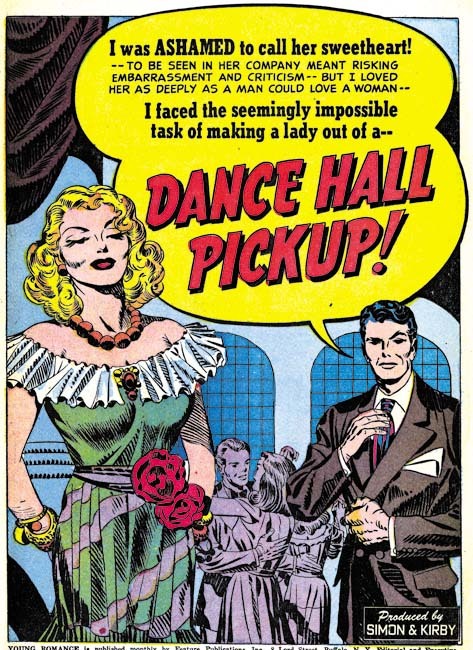 Another artist we have not encountered before in The Art of Romance is Manny Stallman. 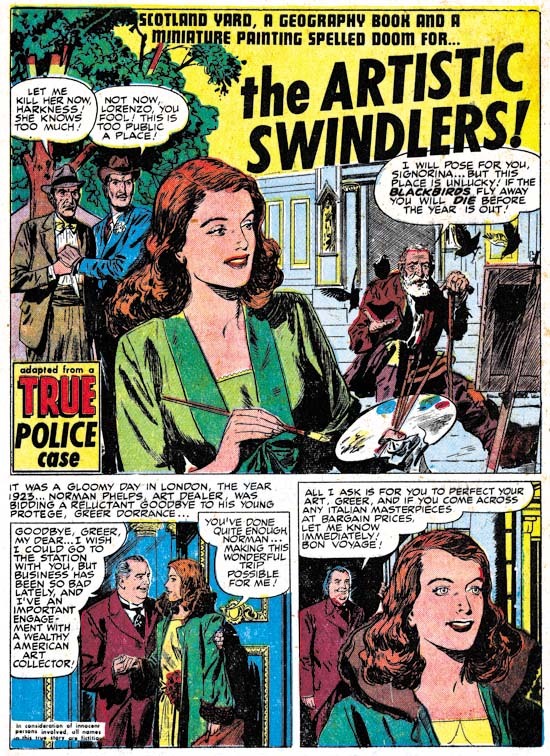 Had I been writing about Simon and Kirby’s crime comics, we would have seen Stallman’s work earlier because art signed by him began appearing there starting with Headline #22 (December 1948). The attribution of “A Gal, A Guy and a Gelding” is considered tentative and is based on the general style. The fact that it is the only unsigned work credited to Manny in my database suggests that further investigation should reveal more works by him (most artists working for S&K did not sign everything they did). I would not be surprised if crops up again when this serial post returns to discussing Young Romance and Young Love, but I have not found any more of his works in Real West Romance or Western Love. Currently my database only has 8 works by Stallman with the one in WL #1 being the last. 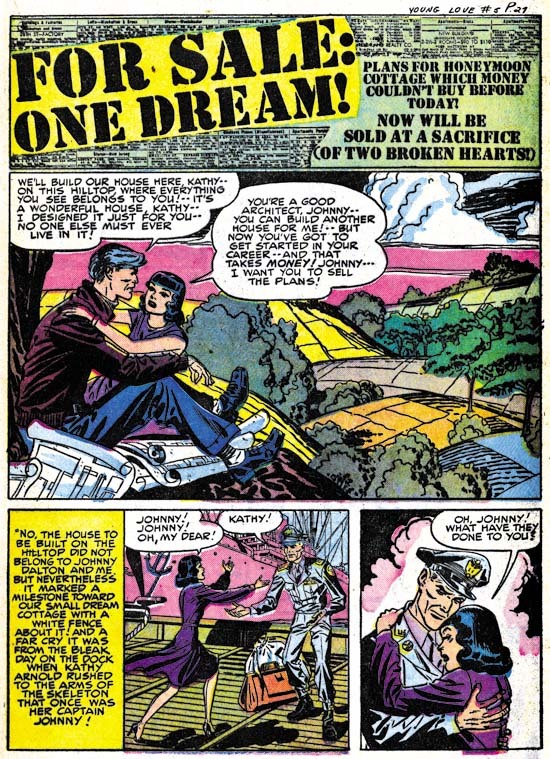 Despite the western theme, most stories from the western love comics are typical romance stories. There is however a greater emphasis on action found in RWR and WL as compared to YR and YL. “A Gal, A Guy and a Gelding” illustrates that quite well. Stallman shows he can handle the action well enough but he clearly did not learn how to depict a fight from Jack Kirby. Jack discovered quite early in his career that the best way to present a person slugged was to have him project toward the reader; Manny has the man fall away from us. Further the slugger seems to be unnaturally leaning towards us. Still there is no question about what is going on. Since this is first and foremost a romance story it has a typical romantic ending. Panel 5 shows that Manny was better then most of the artists in RWR and WL in providing a romantic image, I wonder why Manny was not used more often in YR or YL? As I previously said, most of these cowboy love stories are really romances and as such they typically end with a kiss. I have to laugh about the ending for “A Gal, A Guy and a Gelding” where instead there is a mutual embrace of a horse. (In all fairness, this was probably determined by the script writer). I left for last another artist not previously encountered in The Art of Romance. 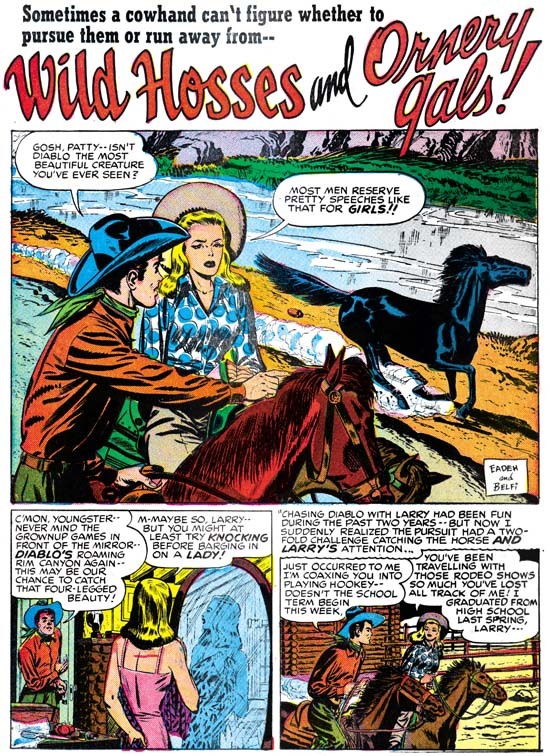 John Severin would pencil 10 stories for the Prize cowboy romance comics, the same number as Leonard Starr. 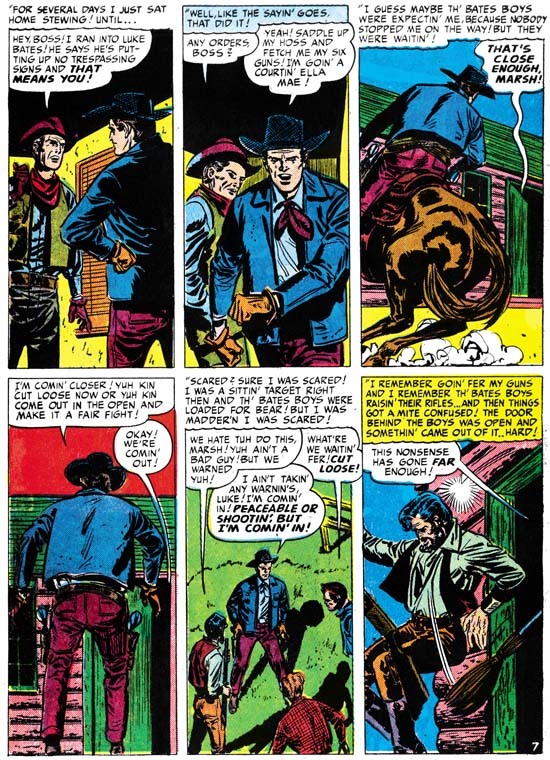 I give Starr the credit for being the most prolific of the western romance artists because one of Severin’s pieces was a single page. 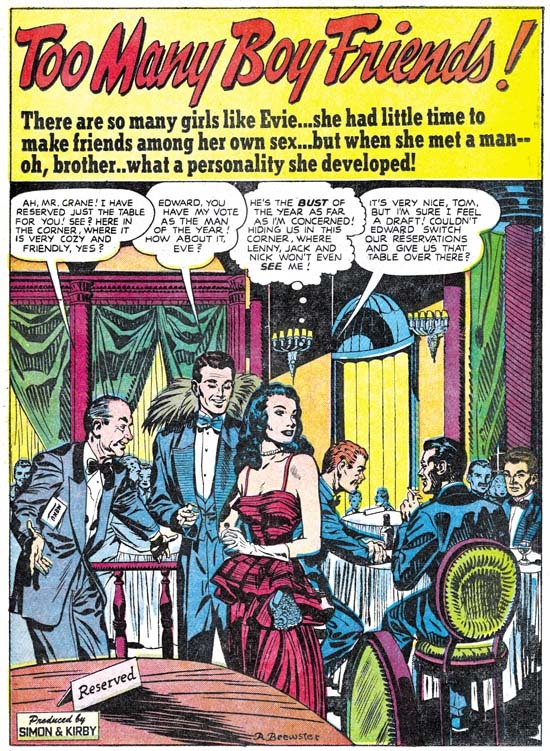 Still Severin was one of the dominate artists, and he also did work for the crime and standard romances comics as well. 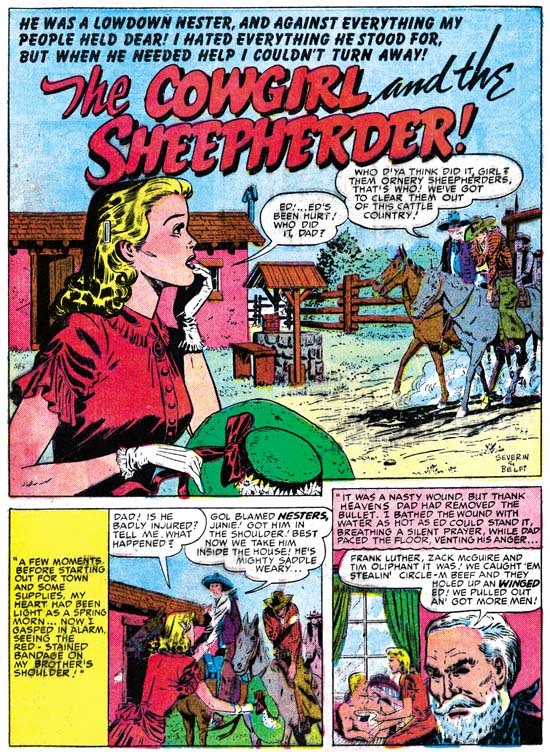 Here in “The Cowgirl and the Sheepherder” he is inked by John Belfi. We had previously seen Belfi as teamed up with Al Eadeh. John Belfi was primarily an inker but he did occasionally do pencils. In fact just a couple of months previously he penciled a story for Justice Traps the Guilty. As far as I know this is the only S&K studio story where Belfi inked Severin. I thought it might be interesting to include a sample for comparison with Severin’s normal inker. Although this is my first occasion to discuss Severin in The Art of Romance, I did write about some of his much later work for Joe Simon. Therefore I may as well confess up front that I am not a fan of John Severin; I find his style too dry. However when studying comic art history it is important to separate personal tastes from the study itself. I may not care that much for Severin, but that does not change the fact that he was an important artist. I will also say that Joe Simon does not share my view; Joe greatly admires John Severin. On the occasion of the recent death of Will Elder, Joe commented how talented Severin and Elder were as a team and how each would become great in their own particular art form. 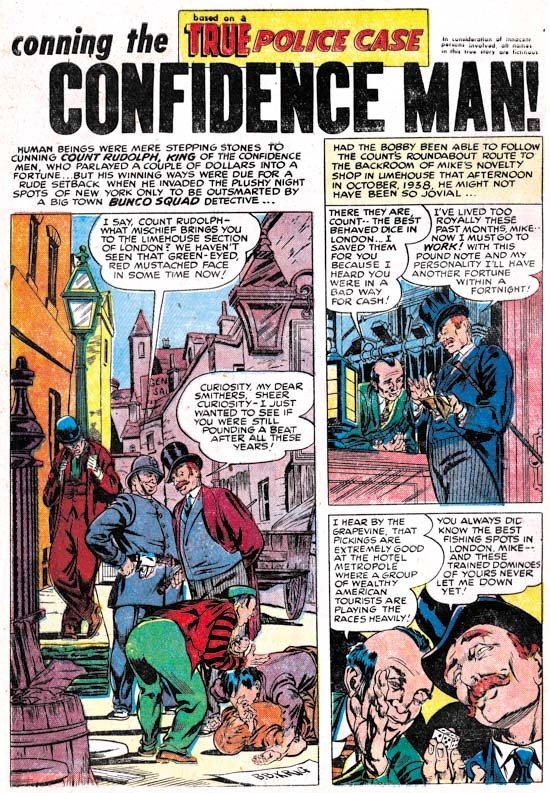 It is with Will Elder that John Severin is most often teamed up with in Simon and Kirby productions. Severin and Elder are an exception among the S&K studio artists in that their work was not evenly distributed among genre. Typically studio artists were expected to be able to work on any type of story. 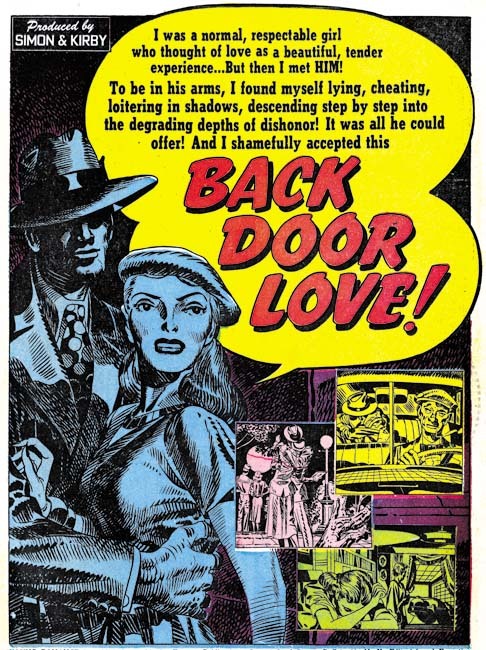 However Severin and Elder did very few standard romance stories while as stated above they did a good number of the western love subgenre. 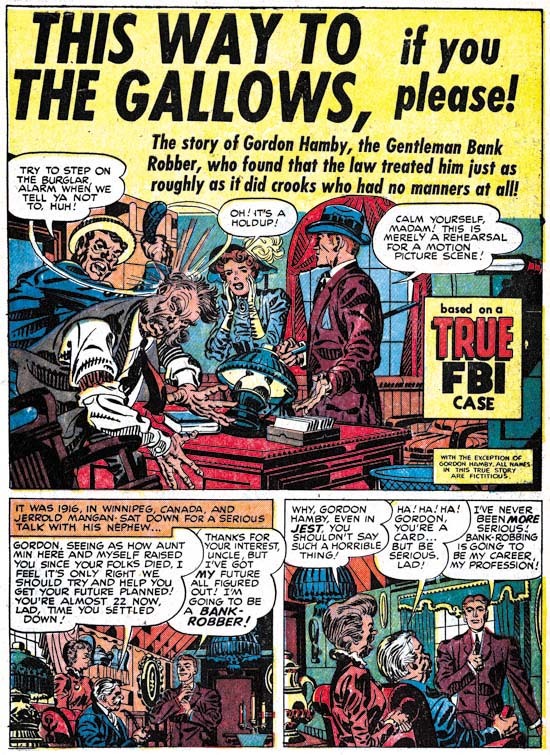 They also did some crime stories, but by this time the Prize crime titles were no longer being produced by Simon and Kirby. It was in western genre that Severin and Elder did the most work. My knowledge of Prize Comics Western (also not produced by S&K) is not adequate, but it does seem that Severin and Elder appeared there before showing up in other Prize titles. 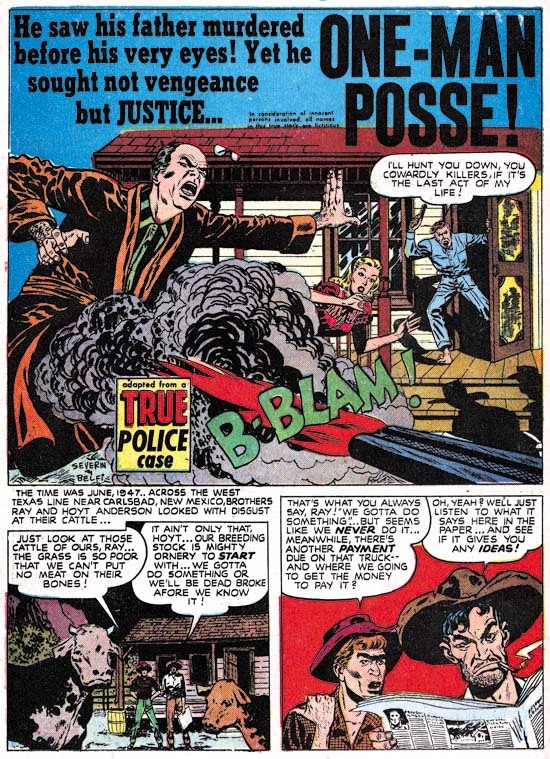 Further John and Will became regular artists for Prize Comics Western for a number of years. Severin’s pencils can most easily be recognized by the very wide and square jaw that he usually gave to men. The reader can see a good example of this in the first panel of the page from “Six Gun Serenade” that I provide above. However I chose this particular page to show that John Severin was not always so dry or limited to serious westerns. Here we get a chance to see a more humorous Severin. His rendition of Phil mimicking Slim’s singing in the third art panel is just marvelous. Even better is Phil’s reaction in the sixth art panel after being slugged by Slim. Unquestionably, Severin had the ability to go beyond his normally dry manner when the occasion called for it. Unfortunately there was one thing that John did not seem very successful at and that is romance. 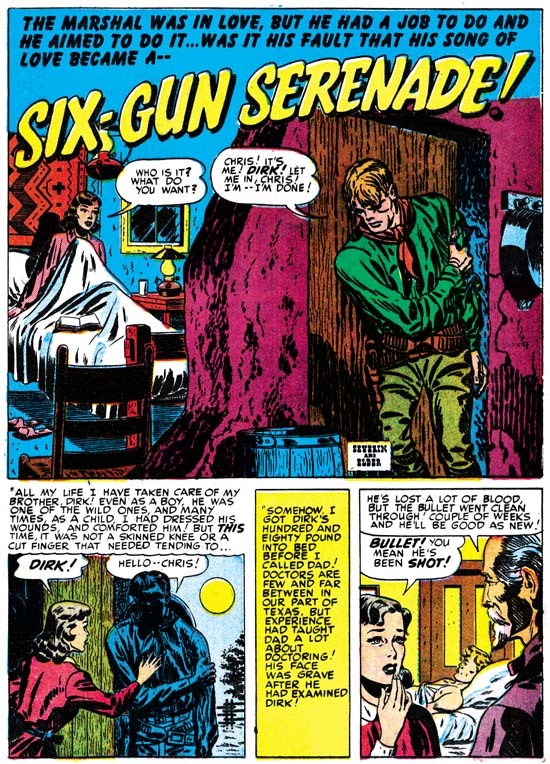 If not for the text in the captions the reader of “Six Gun Serenade” would have no idea the couple in the last panel were in love. John Severin just did not seem to have the romantic touch. That may have been fine for these western love stories, but it may explain why Severin and Elder did so little work for Young Romance and Young Love. Still I must say that although I generally do not care for Severin’s work, there are occasions like “Six Gun Serenade” where he just bowls me over. 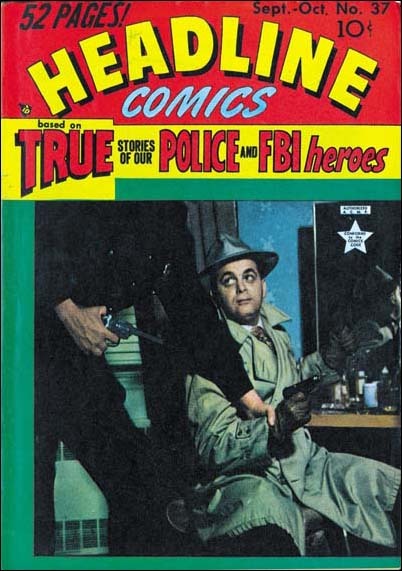 With all the comics that Joe Simon and Jack Kirby produced over the years, it is understandable that occasionally a story title would be repeated. Even so it is a bit surprising that “Six Gun Serenade” would be reused as a title within just a month. That is not why I have chosen to include the image above. The real reason is the figure of the wounded Dirk in the splash panel. It is clearly the work of Jack Kirby. The inking of the figure and the surrounding wall also appears to have been done by Jack. The rest of the splash and the two story panels were just as clearly done by John Severin and Will Elder. This is one of those cases of Kirby stepping in as art editor. It may not be too surprising that Severin’s original version was not considered good enough. A comparison of the figure in the splash with the one in the first panel that has just about the same pose suggests what may have been the problem. There are a number of works in Real West Romance and Western Love that I have not been able to provide an attribution. Some are clearly done by the same artist and so I hope that eventually I should be able to figure who that artist was. There are also some that look like Jack Kirby was involved. These stories and the nature of Jack’s involvement will be discussed in next week’s conclusion to the western romance titles.